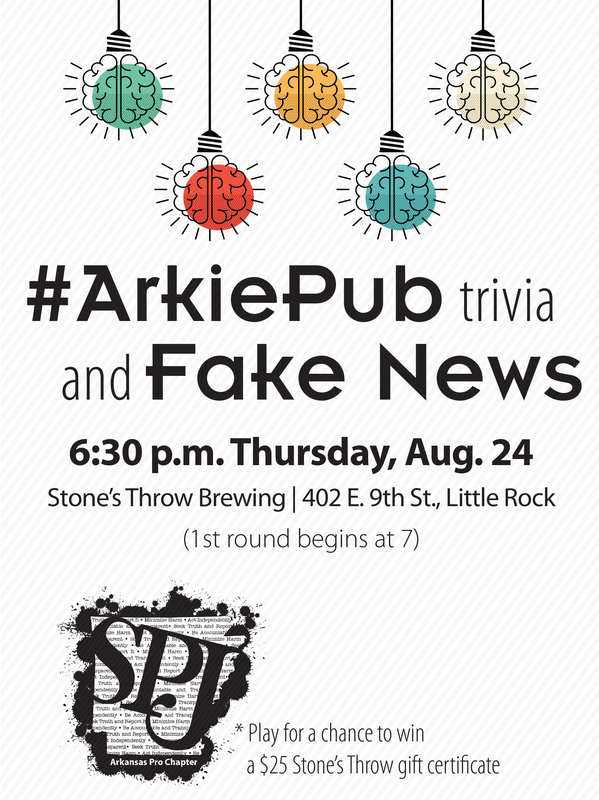 Join us at 6:30 p.m. Thursday, Aug. 24 for #ArkiePub Trivia and Fake News at Stone’s Throw Brewing, 402 E.9th St. Little Rock. The first round will begin at 7. Mingle with fellow journalists and play for a chance to win a $25 Stone’s Throw gift certificate.